As you read the story aloud to your child allow time to pause and talk about what is happening in the story and the pictures. Why the other elephants are so serious without him. You could also talk about what your child knows about elephants – name parts of their body including trunk and tusk. What would they like to find out? 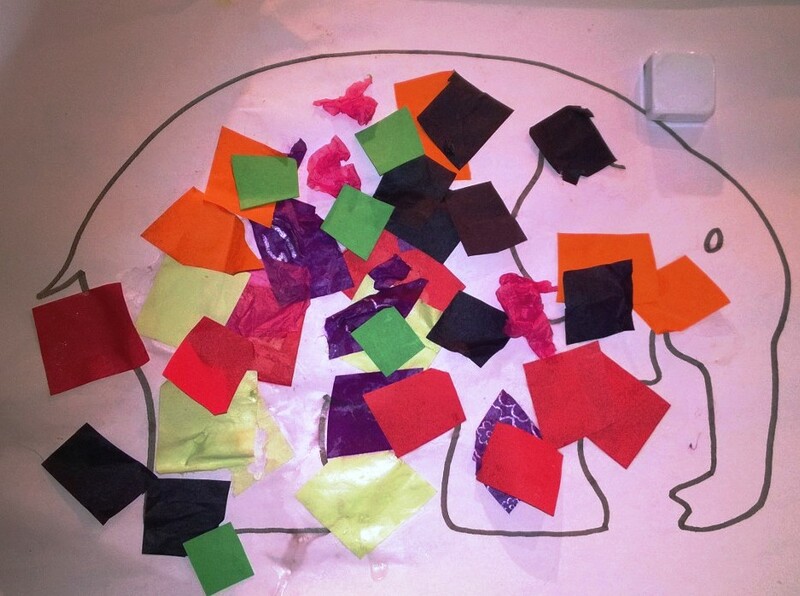 Once your child has heard the story a few times they could tell the story to you using the pictures to guide them. Count the number of elephants on some of the pages together. Which page has the most elephants? Which page has the least? With your child helping fill a large tray with damp soil, and collect plants leaves, grasses and twigs to place in it. If you have plastic toy animals you could place them in the tray. 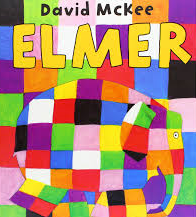 Perhaps you could add colour sticky squares or dots to a plastic elephant to be Elmer. Children could tell the story of Elmer or make up their own stories. 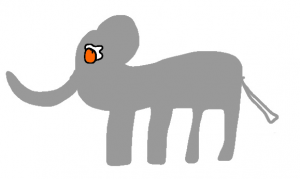 Use the message template and help your child write a message to Elmer from the other elephants. Talk about what they might want to say to him letting them choose their own message. Children might want to say for example that they like him just the way he is or that they find him really funny. Decorate an elephant like the ones joining in the Elmer parade. If you make several you could cut them out and hang them on a string suspended across a wall or ceiling to create a line of elephants on parade. 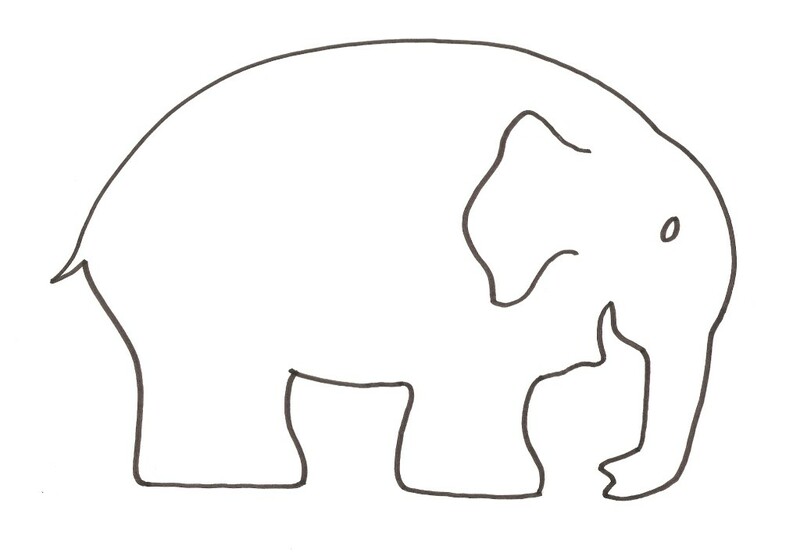 Click here for an elephant template to colour. Make a patchwork picture Cut out coloured squares from a magazine for your child (or help them to cut out or tear their own). 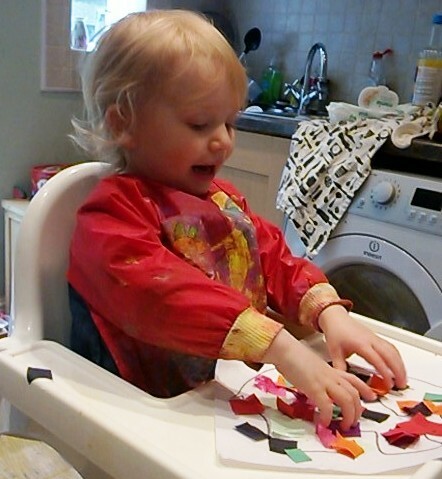 Arrange the coloured squares in a a patchwork design and stick on a sheet of paper. You could watch part of this video together and talk about it. Read more books by David McKee. Parents might be interested to read some background to Elmer in this article.